Effective June 1, 2016, Beeland Nielsen will serve as Corporate Senior Director of Commercial Leadership for Coca-Cola Bottling Company UNITED, Inc. In this role, Beeland will assume responsibility for all Commercial Leadership and Capability functions, to include the On Premise Commercial Capability advancements. Previously serving as Director of Commercial Leadership-Retail for Coca-Cola UNITED, Beeland was responsible for leading in project development and implementation focusing on Go-To-Market processes, strategic route planning, commercial capabilities, and sales force automation. This department also played an integral role in Coke One North America (CONA) deployments and the transition of acquisition territories. 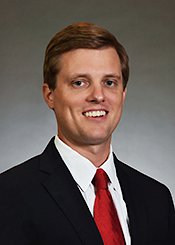 Beeland received his BA from The University of the South, Sewanne, in English Literature and later completed his Masters of Business Administration at Vanderbilt University in 2010. Prior to joining Coca-Cola UNITED in 2004, he worked for Regions Bank as a management trainee and retail branch manager, completed a comprehensive management training rotation in Chattanooga, TN, and was the Retail Sales Manager for the Tennessee Valley Division of Coca-Cola UNITED. Beeland and his wife Grace, live in Birmingham, AL with their three children Elle, Claude, and Frances.